After Trump called her a “dog”, she took off the gloves and spilled his darkest secret on national television.. The world-famous magician was in the room when it happened and decided to speak out. The president definitely didn’t see this coming from one of his biggest cheerleaders. Take Action: Add your name to demand Trump fire the white supremacists in the White House! Given the chance to defend her boss’s integrity, she left the White House pool speechless. Short-term insurance plans (generally three months max) are not subject to the Affordable Care Act (ACA) regulations that protect consumers from criminally substandard coverage and discrimination against those living with pre-existing conditions. They also often do not cover maternity or mental health care, and have impossibly high deductibles for many middle class families. These insurance plans are junk coverage — but Trump intends to extend their three-month limit to a year, with the option to renew up to three years. These lower-priced plans would destabilize the ACA by drawing healthy people away from the marketplace, and could literally endanger those consumers duped into believing they were purchasing *actual* insurance. 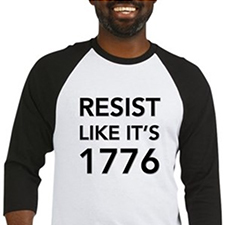 Some states (even some with Republican leadership) are already fighting back…and that’s where we focus our resistance. Email or call your state legislators and urge them to pass legislation banning the sale of non-ACA compliant insurance and short-term plans longer than three months. These plans are awful. For example, a junk temporary plan with a $100 monthly premium would deny coverage of essential services (like a hospital visit), have zero prescription drug coverage, and a $10,000 deductible to boot…attractive on the surface for the lower premium, but could send even a healthy person spiraling into debt at the first sign of trouble. What’s more, it’s just one more way Trump and his Republican cronies are trying to deconstruct the ACA, despite their own constituency asking them to keep it in place. We’ve fought and beat him on the ACA before. We can do it again — this time, we go to the states. Call or email your state legislators and demand they lead the way on legislation banning the sale of non-ACA compliant insurance and short-term plans longer than the intended three months. 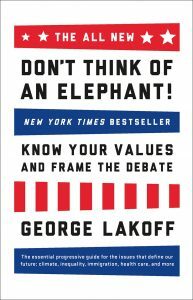 PS — Please don’t forget to sign the petition to tell Omarosa to turn over her Trump tapes to Special Prosecutor Mueller, and check out the brilliant “Don’t Think of an Elephant” by George Lakoff — a quick read that contains the ultimate keys for Democrats to win elections — and arguments.